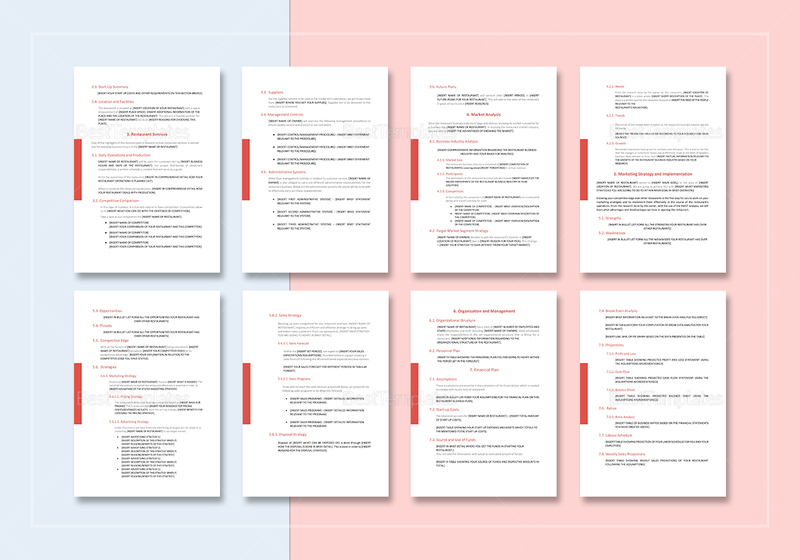 A well-conceived business plan is often the factor for success in an independent restaurant business. 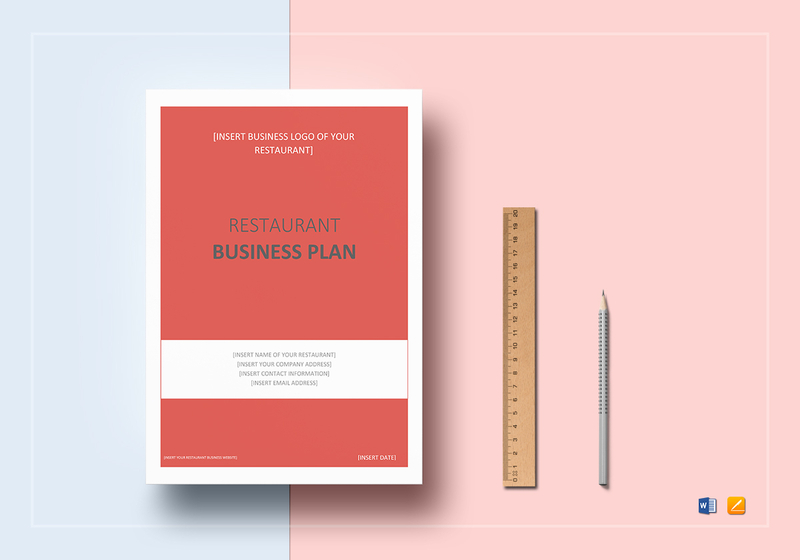 Which is why we are offering this professionally made restaurant business template plan for you to use. 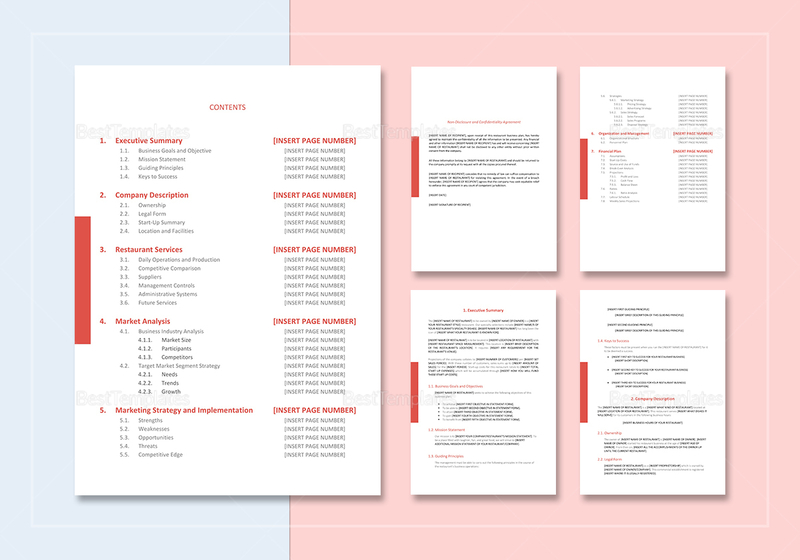 This 14 page document contains high-quality layout and design. 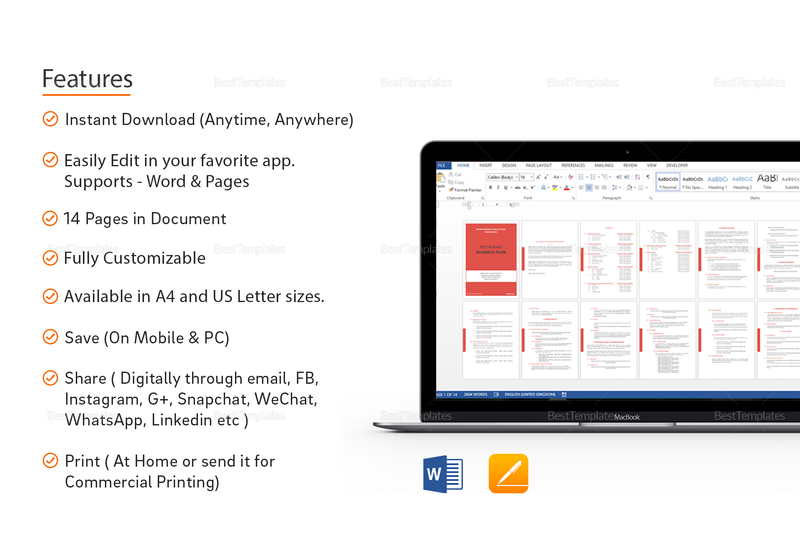 It is easy to use and customize with all versions of MS Word and Apple Pages.